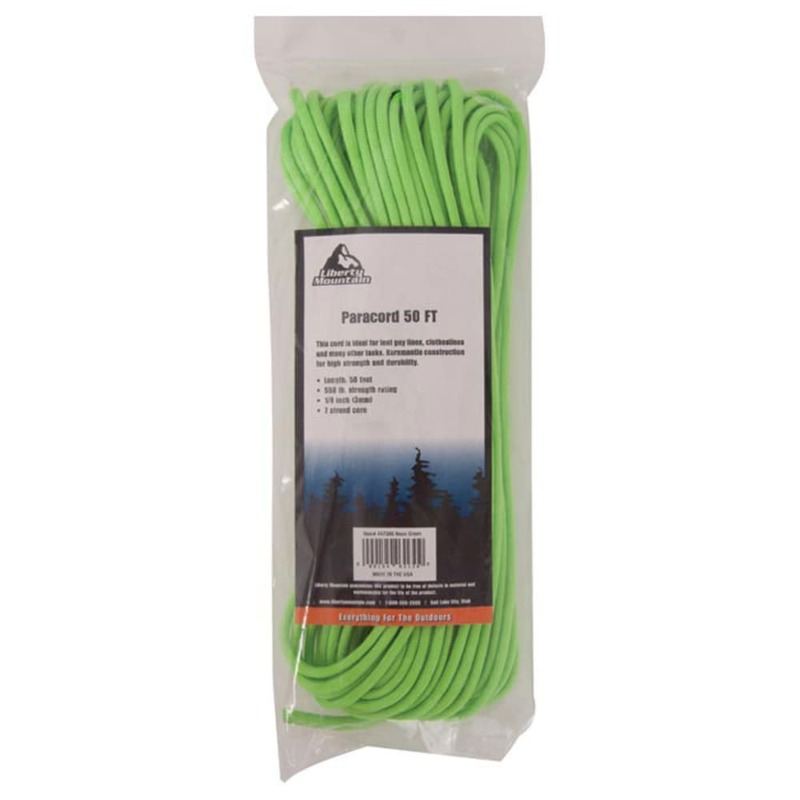 Liberty Mountain’s 100% nylon paracord is a commercial Type III cord with a minimum break strength of 550 pounds. Paracord has hundreds of uses from tent guy lines and hanging bear bags to braiding survival bracelets. Minimum break strength of 550 LBS.